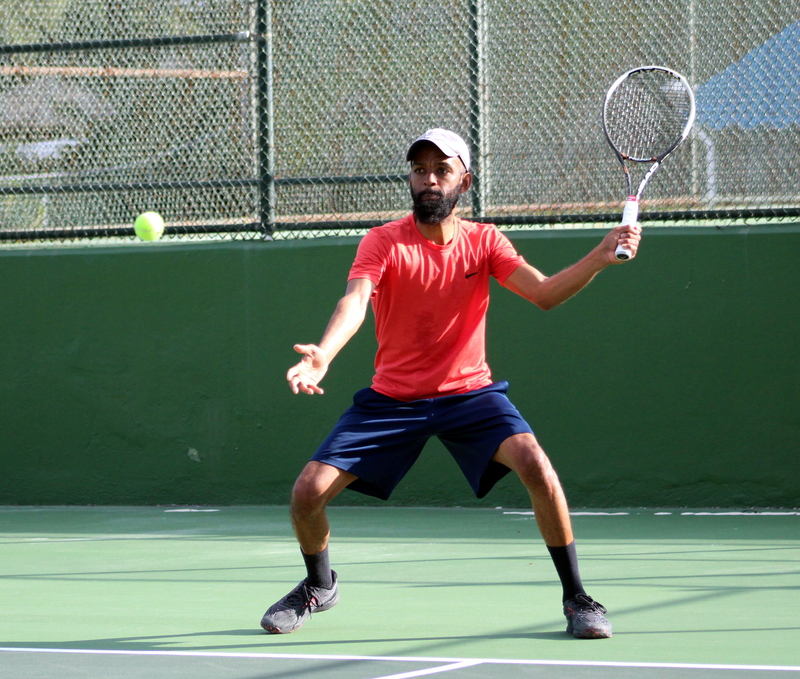 The MTM Open Championships continued at the Fairmont Southampton Tennis Courts, with 6 games played in challenging conditions. Players were facing strong winds out of the South South-west at 35mph, with sand blowing across the courts making rallies near impossible. Jacky Lambert defeated Jon Brunson in straight games 6-3, 7-5 in their match this morning, Brunson would return to the court later in the day, but he would again fall this time 6-0, 6-0 to Denzel Hollis. Tournament number one seed Gavin Manders would defeat Luke Stirling in straight sets 6-1, 6-4, while Cayla Cross defeated Bobby Bart in straight sets 6-2, 7-5.